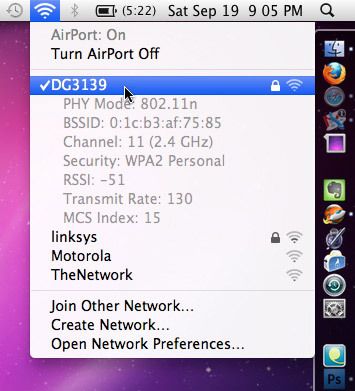 Users can get detailed wireless information from the Airport menu by holding down the “Option” key when clicking the menu icon. The ability to pull the Security type and Channel directly out of the menu is a big plus for me, but the other information should certainly be useful when troubleshooting a WiFi problem too. This is a Snow Leopard only tip, and I thought we had covered it here at OS X Daily but apparently not… so thanks to TheGraphicMac‘s post on the matter to remind me to share it with you all (note the image attached to this post is from TheGraphicMac too). I tried and this does not work anymore it seems with 10.6.7 … any suggestions?